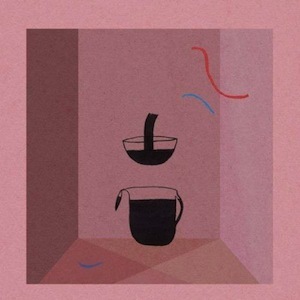 Devendra Banhart turned up the volume with the more rock-driven What Will We Be in 2009, but this time he’s returned to a refreshing, mellow simplicity on the latest full-length LP, Mala. His work is always both inspired and innovative, and this is no exception. Banhart takes shoegaze and rhythms influenced by the music of his upbringing (in Caracas, Venezuela), throws them through a vibrant surrealist painting, and outlines it all in crystal-clear electric guitar. The result is his iconic freak-folk vibrato, but this time much more concentrated and subtle. The album begins low and echoey with a distant “Golden Girls,” and keeps the meandering beat through “Daniel” and a slightly lysergic “Für Hildegard von Bingen.” “Never Seen Such Good Things” is peppered with cynical pop, layered under bitter and creatively-rhymed digs. Case and point – “If we ever make sweet love again/I’m sure that it will be quite disgusting/Race to the end.” Ha! A Spanish-influenced track, the seductive “Mi Negrita,” puts Devendra most in his element. His Spanish songs are always the most fluid and playful, but the German/electronica in “Your Fine Petting Duck” takes danceablility to a level Devendra hasn’t even touched yet. Though Mala is a little more subdued, Banhart’s weirdness is thankfully still intact. Anything that can blend falsetto harmonies, Venezuelan folk-pop, and psychedelic undertones so masterfully is bizarrely excellent in our book. Devendra’s only getting better with time.